Set cylinder head (Figure 1, Item 5) on its side. 0.023 in. 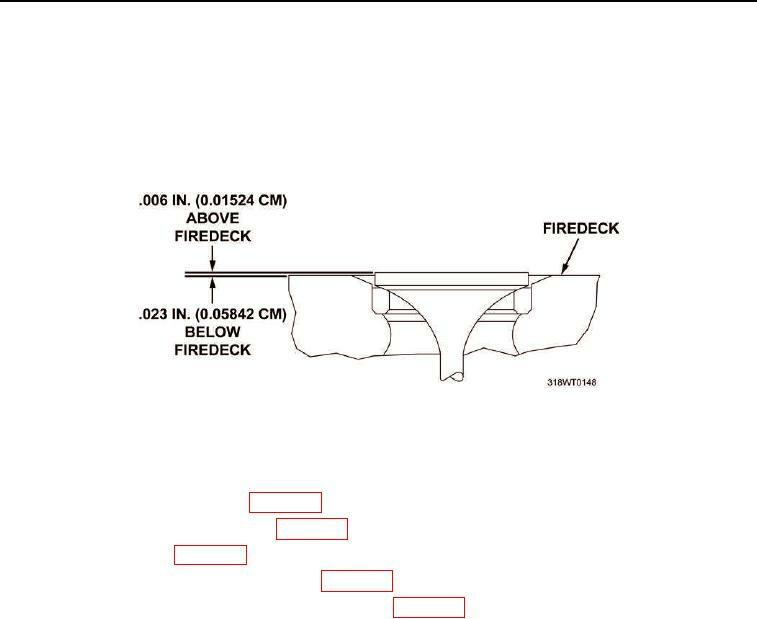 (0.05842 cm) below fire deck (Figure 2). valves (Figure 1, Item 6) that fail. Install cylinder head push rods (WP 0054). Install cylinder head cam followers (WP 0053). Install fuel injectors (WP 0091). Install cylinder head exhaust valve bridge (WP 0058).